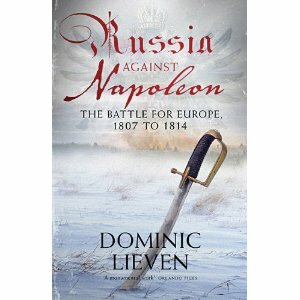 “War,” Thomas Hardy once wrote, “makes rattling good history.” If you would like an example of exactly what Hardy meant, I commend Russia Against Napoleon by Dominic Lieven. Never in history, perhaps, did a man of such extraordinary military genius suffer so extraordinary a military disaster. On June 24, 1812, Napoleon Bonaparte, the master of continental Europe, led nearly half a million men into the depths of Russia to enforce his will upon Czar Alexander I. With greatly inferior forces, Russia could not afford to confront Napoleon head on. Instead, the Russian commander, Mikhail Kutuzov, of necessity adopted Fabian tactics, harassing the invaders but avoiding pitched battle when possible. 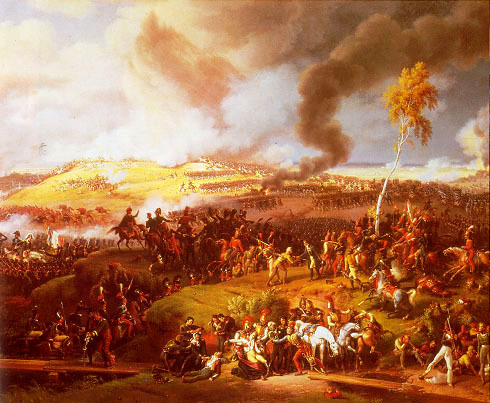 The one really big battle, Borodino, was more or less a draw, after Napoleon gave up personal command for reasons never satisfactorily explained. On Sept. 14 Moscow fell to Napoleon, and he sent peace overtures to Alexander, thinking the czar had no option but to negotiate. The Russians stalled and hinted but never gave a firm answer, seeking to keep Napoleon in Moscow as long as possible. On Oct. 19, with the czar still dawdling, French food supplies dwindling rapidly, and the Russian winter closing in, Napoleon had no choice but to begin withdrawal. 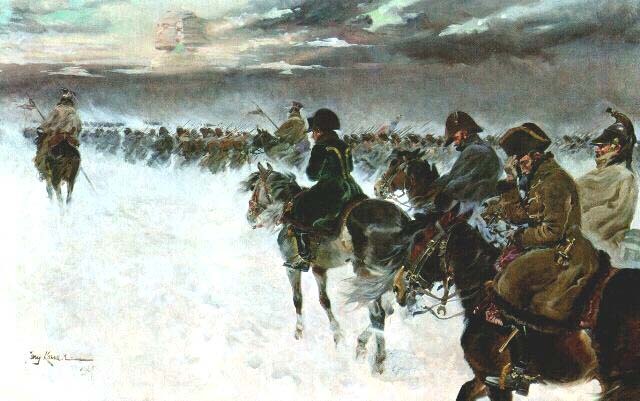 The weather, disease and constant Russian harassment then destroyed his Grande Armee. He started the invasion with 450,000 men; 6,000 returned home. The myth of 1812 was, he maintains, largely of Tolstoy’s creation in War and Peace — the idea being that it was essentially Bonaparte’s vaunting ambition and Generals Janvier and Fevrier which did for the French. On the contrary, says Lieven: ‘One key reason why Russia defeated Napoleon was that its leaders out-thought him’. Bonaparte failed to understand Russian society, whereas Alexander knew perfectly the strengths and weaknesses of his enemy. The Tsar and his war minister, Field-Marshal Barclay de Tolly, fully expecting that Bonaparte would at some stage march on Moscow, planned all along what Lieven calls a ‘people’s war’, which is perhaps more evocative than ‘guerrilla war’, but which was conducted nevertheless on the lines of that against Bonaparte’s armies in Spain. Indeed, Alexander seems to have drawn comfort, perhaps inspiration, from the Peninsular campaign, and Wellington’s bold strategic retreats, in his own plans for ‘deep retreat’ in Russia. Lieven is always generous to Wellington: of the duke’s great victory at Salamanca, he writes that not only did it ensure that even more French troops would be tied down in Spain in 1812 and beyond, but that it ‘boosted the morale of all Napoleon’s enemies’. What he is keen to demonstrate is that because the campaigns of 1813-14 are generally buried, so to speak, beneath the snows of 1812, the real quality of the Russian army remains unseen. For here was an army that followed up its success by fighting through Prussia all the way to Paris, a considerable feat of logistics, command and control as well as of arms — and without the depredations of the Red Army the following century. Indeed, when they marched home again, Alexander’s troops were feted in many a German town. Then why — besides the Tolstoy factor — has the extent of the Russian contribution been concealed until now? The author suggests that the Prussians ‘elbowed Russia aside’ when it came to interpreting the campaign of 1813, just as ‘the British grabbed Waterloo for themselves’; and that Soviet-era history has been keener to emphasise the ‘people’s war’ side of 1812 than Tsarist military prowess in 1813-14. This leads to the central message of Lieven’s work. For him, the Russian army of the late eighteenth and early nineteenth centuries was clearly a force of great strength and versatility that was more than capable of meeting the challenges posed by the French Revolution and Napoleon without having to engage in fundamental change. And, as with the Russian army, so with the whole of the Russian state. Far from being some ramshackle eastern despotism, this was in many ways a vibrant and forward-looking organism that possessed extraordinary resources and even offered a number of the advantages that are normally associated only with the French Revolution: a regime that could place such a figure as Mikhail Speransky at the head of its affairs was hardly one in which careers could not be said to be open to talent. In writing about the Russia of Alexander I, Dominic Lieven has also made a major contribution to wider debates on the Napoleonic epoch, and for this, as for so much else, he is to be congratulated. This is a valuable contribution to our understanding of the Russian campaign; it re-evaluates the balance of responsibility for the course of events, and presents a new interpretation of the strategy used by the Russian command. A very enjoyable and thought-provoking read.